in Europe. At the same time, additional capacity for small SUVs will be created at the plant in Bupyeong (Korea) that has been the unique source of production so far. "The decision for Zaragoza follows our company's strategy of building vehicles where we sell them. The enormous demand for the Mokka underlines the attractiveness of our vehicles, adds momentum to our product offensive and secures jobs in Europe. The decision will help address the underutilisation of available production capacity in Europe and therefore is good news for the entire organisation," said Opel CEO Dr. Karl-Thomas Neumann. Chairman of the European Employee Forum (EEF) Dr. Wolfgang Schafer-Klug stated, "It is not only great news for Zaragoza but for all plants in view of the improved overall capacity utilisation. 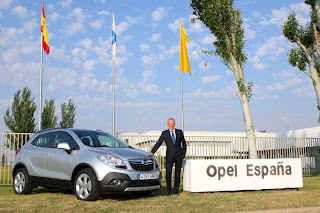 Opel/Vauxhall management has now fulfilled a long-standing request from the EEF to produce our small SUV in Europe. This is really a win-win situation for everybody in Opel/Vauxhall." In the initial phase, US$ 80-million will be invested in Zaragoza for production. 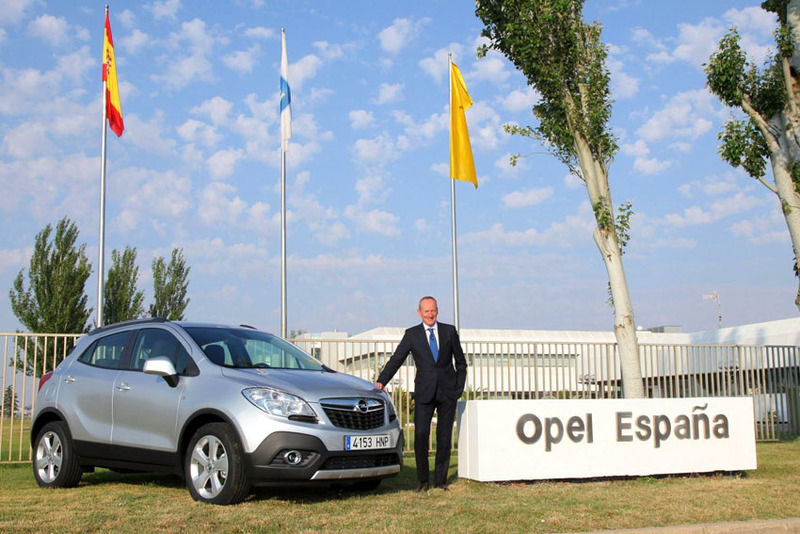 The decision to produce the Mokka in Europe is helping to safeguard 5,800 jobs in Opel's Spanish plant, which is currently producing the Corsa and Meriva. "This is another great day for Opel/Vauxhall," continued Neumann. "After the recent decision of GM to invest 4-billion euros in its European operations and an additional commitment to invest 230-million euros in the Development Center in Ruesselsheim, Germany, this is further proof that we are on the right path." "The biggest winners are Opel/Vauxhall customers and employees in Europe," added Neumann. "With this investment, we will be able to produce more Mokkas and to more quickly serve our customers."